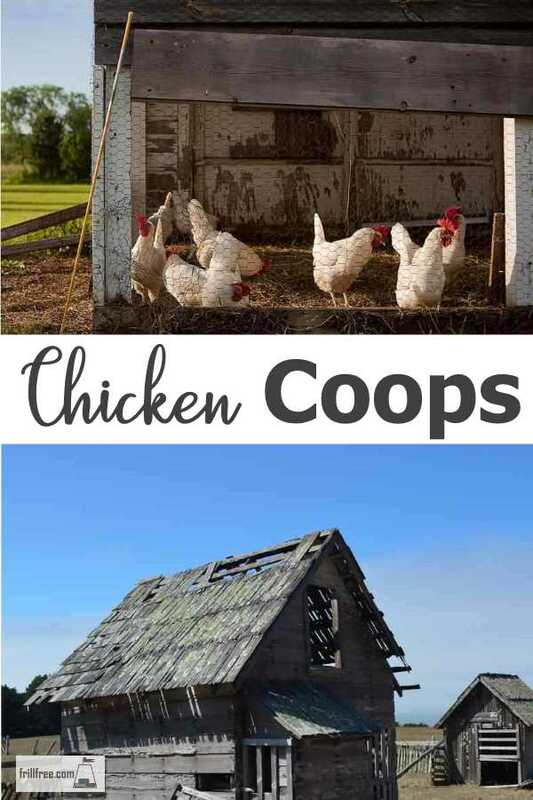 Chicken coops come in all shapes and sizes. 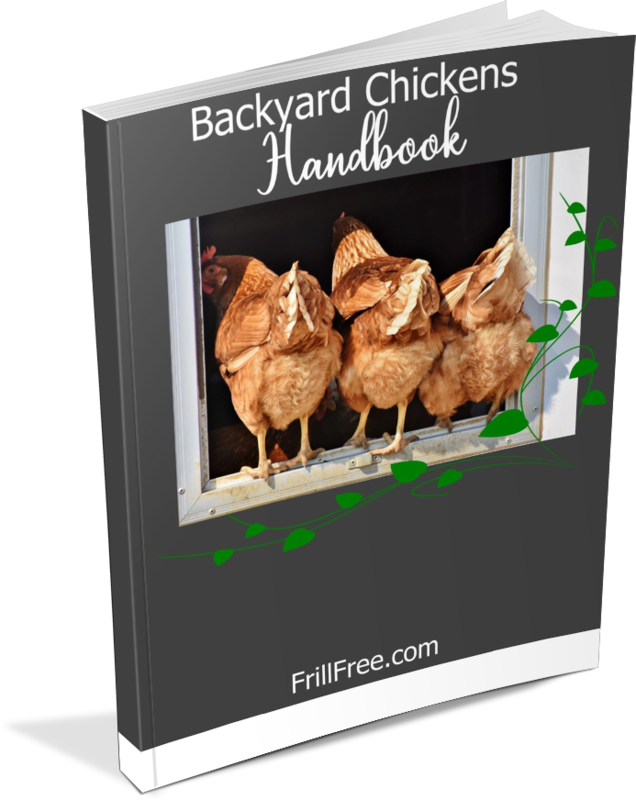 Depending on the size of your backyard chicken flock, you’ll need enough room for them to be healthy, and secure from predators. The basic requirements for your chicken coop are that it be dry and protected from drafts. Healthy chickens have warm feathers and down, but if they are forced to sleep in a damp or drafty place, their health will suffer, as well as one of the primary reasons for keeping chickens in the first place; fresh, rich and tasty eggs. A heater usually isn’t necessary; their body heat is enough except on the coldest of winter nights. Good insulation and ventilation are essential. As perching birds, they need a perch to sleep on. This is important for them for a couple of reasons. Psychologically, they'll climb higher and higher to be safer from predators. In the wild, this is generally a tree, so if you can give them something with several layers, like branches, this gives them a sense of security. In addition, they have that 'pecking order' which means the higher up ones need to be, well, higher up. The use of perches means that all that chicken manure falls to the ground as they sleep, keeping them and their surroundings cleaner. You never want to allow them to sleep in nesting boxes or on the floor (unless they are hatching out eggs). It’s not healthful for chickens to have a concrete floor; not only is it hard on their feet and legs when they alight from their perches or laying boxes, it’s damp and cold too. So even if you think it will be easier to clean, it's best to stay away from concrete. The most beneficial floor is actually the native soil, with deep litter over it for them to scratch in. The earthen floor will inoculate the litter with tiny molds, bacteria and yeasts. I use a mixture of sawdust, clean straw (not moldy) and chopped leaves. Once they scratch around in this for a while, and I add a few shovels of compost to encourage them, it can start to heat up with the addition of their copious manure. The microorganisms that live in this deep litter can create certain vitamins and beneficial enzymes. It’s been found that in some cases all the microorganisms in an aged deep litter system can actually prevent diseases such as the scourge of the chicken farmers life – coccidiosis - and fly larvae and other members of the micro herd can provide a good percentage of the birds’ nutrition – protein on the hoof. Using the deep litter method your chicken coop will need cleaning only two or three times a year; more often if there are a large number of birds, or they have to be confined for long periods due to rain or snow. This partially decomposed litter makes incredibly rich compost when mature. Water is essential for the health of your birds. Use an easy to clean watering device, and keep it up off the ground so it doesn't get the litter off the floor plugging it up - chickens love to scratch, but they don't always look where it's going. Your chicken coops design will be based on the number of birds in your backyard chicken flock, as well as the type of birds you’re raising. The smaller birds such as Cochin Bantams and Silkies don’t need as much room as some of the dual purpose hens like Barred Rocks and other larger breeds. Research for the type of birds you plan on keeping, as if you build your chicken coop for Bantam breeds, and then change over to the larger types, the doors, perches and nesting boxes will all be too small. 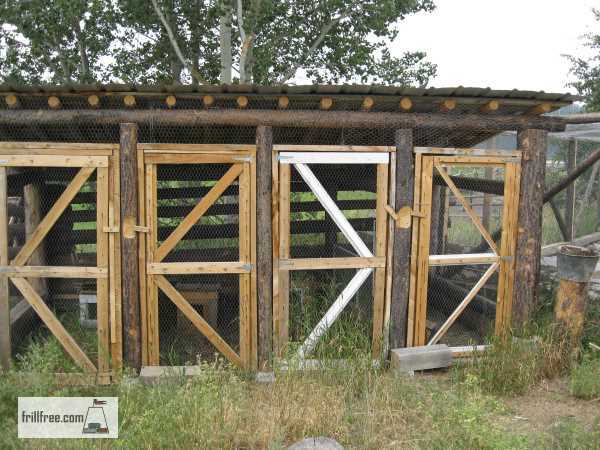 The perfect chicken coop doesn’t exist – you’ll always find things that could be done better, or differently; no matter, your birds will find the accommodation quite acceptable – backyard chickens are very adaptable.